Remove Gunk, Sludge, and Hidden Waste! 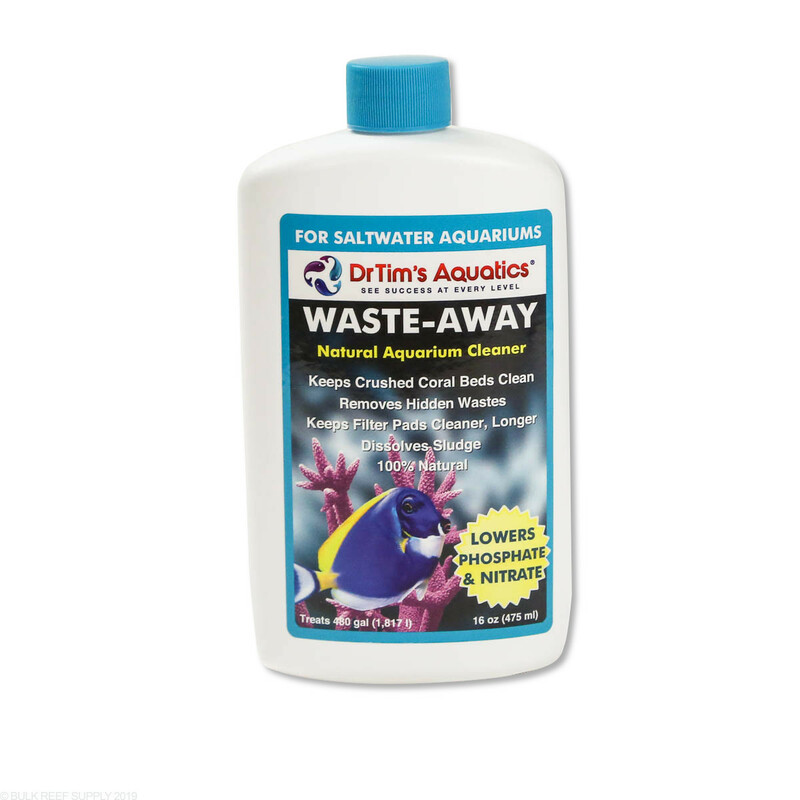 Dr.Tim's Waste-Away is a 100% natural bacterial additive that helps dissolve sludge and hidden wastes. 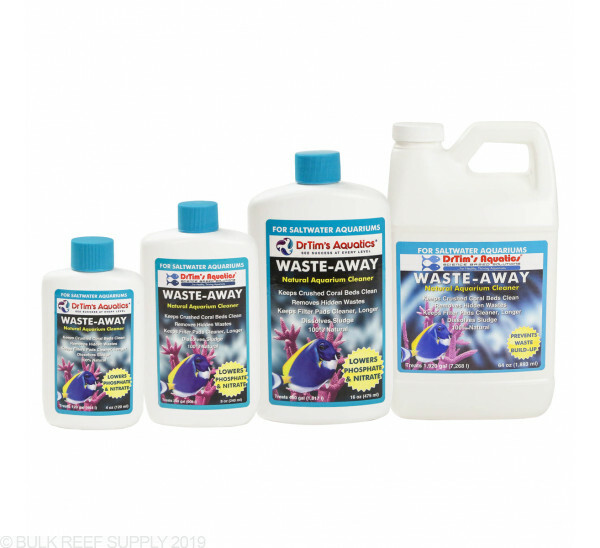 Using Waste-Away will also help increase your tanks ORP and the production of your protein skimmer. 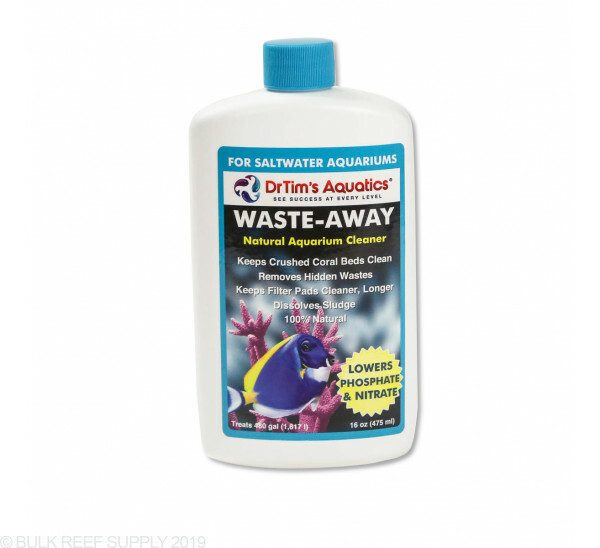 Even with regular water changes, sludge and waste can build up in sand beds, rocks, filter pads, and many other places throughout aquariums that are hard to see and reach. 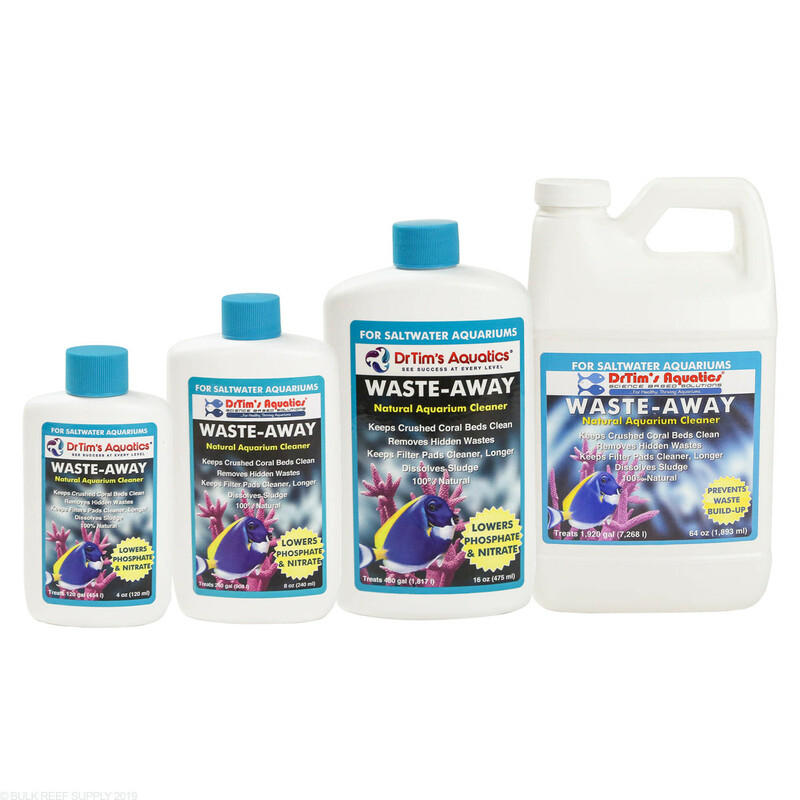 Dr.Tim's Waste-Away employs natural bacteria that will dissolve the waste making available to be removed through water changes. When it is used regularly, it can help prevent the build up of dirt and sludge, and also reduce nitrates and phosphates. 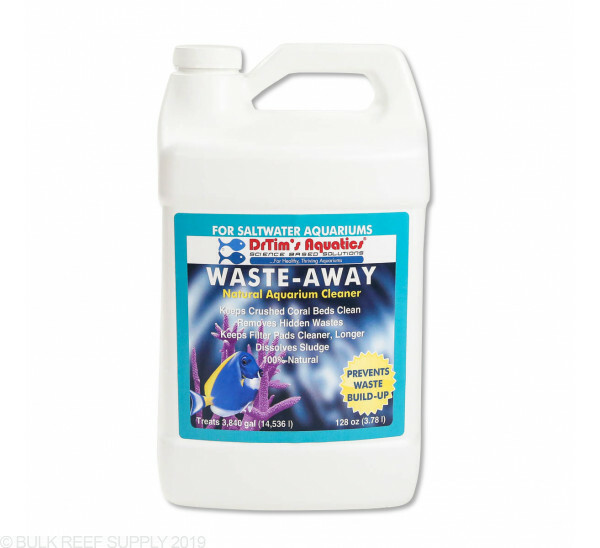 Shake the bottle of Waste-Away, and then measure out 10mL per 10 gallons of aquarium water and add it to a high flow area of the tank once per week. Turn off any UV lights, and protein skimmers for 48 hours after dosing for the best results. It is common for dirty tanks to develop a temporary cloudiness and if this happens do not add more Waste-Away until it has cleared. 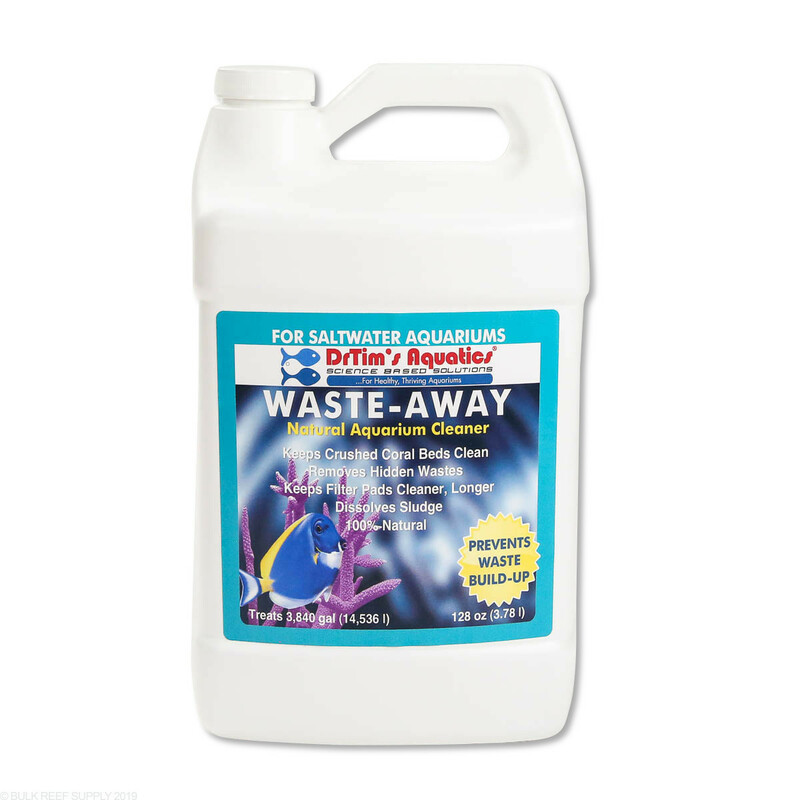 Caution: When using in a tank with a large amount of sludge, consider a half-dose initially as the sludge reducing bacteria in Waste-Away may cause the oxygen level in the water to temporarily drop. Do not add more than one bacterial based solution per day. Cycling a new aquarium or need to combat Cyanobacteria or other algae? Added this to battle some brown gunk in my tank. By the 2nd dose, all of my SPS were dead/almost dead. Did a large water change hoping to save them and that's a TBD. Parameters are within reason, and Waste Away was the only thing added. While I'm sure it works, I'm certain this was the reason my SPS took a massive hit. Hoping that since I've since stopped using it, they will recover. As they say, if the coral has a polyp, it ain't dead. I dose my tank weekly with Waste Away. I've tried other sludge-busting solutions, but nothing works as well. It's pricey and may not be cost effective for a large tank, but for a small or medium system, you can't go wrong.